harsharan000 had the most liked content! 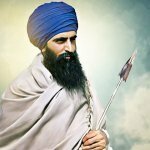 Wahiguru, Gurmukhs, Bani, Katha, Kirtan & humanity. 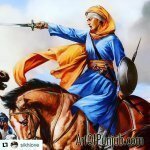 harsharan000 replied to JSinghnz's topic in WHAT'S HAPPENING? harsharan000 replied to Christiangirl52's topic in WHAT'S HAPPENING? Sikhee, the universal path for God realization. ਜਾਣਹੁ ਜੋਤਿ ਨ ਪੂਛਹੁ ਜਾਤੀ ਆਗੈ ਜਾਤਿ ਨ ਹੇ ॥੧॥ ਰਹਾਉ ॥ Jaanahu Joth N Pooshhahu Jaathee Aagai Jaath N Hae Recognize the Lord's Light within all, and do not consider social class or status; there are no classes or castes in the world hereafter. Guru Nanak Dev While Guru Jee breaks our mental barriers which keep us imprisoned in our manmat, by sharing the Truth in their teachings, the stupids, the bahmanvadee among us who dare to shamelessly call themselves sikhs, create confussion by spreading their ignorance, and create divisions through their foolish discriminations. Sat Sree Akal. harsharan000 replied to GuestSingh12345's topic in WHAT'S HAPPENING? Well there can be several answers to this beautiful question, and in the Bani we can get very good answers to it, and one such which I would like to share with the sangat here is as follows: ਸਤਿਗੁਰ ਪਾਸਿ ਬੇਨੰਤੀਆ ਮਿਲੈ ਨਾਮੁ ਆਧਾਰਾ ॥ Sathigur Paas Baenantheeaa Milai Naam Aadhhaaraa || I offer this prayer to the True Guru, to bless me with the sustenance of the Naam. Sat Sree Akal. harsharan000 replied to NonExistant's topic in WHAT'S HAPPENING? Good intentions, sharing sincere happy moments are allowed everywhere, sins nowhere, be it Gurdwara. You never pointed my dishonesty, it is all your wickedness, your bakwaas, your lies, YOUR BULLYING....your wild mad imagination. But nothing of your nonsense will ever affect me, for you speak, only the nonsense and lies you carry, so not me only, but anyone with common sense will ever fall at your dirty level. You think the whole world turns around you, and will follow a mad dog like you, ha? You are so wicked, that you think Gurbani can upset me. it is not Gurbani which is Amrit that can upset anybody, but your wickedness which blinds your common sense, thus you start barking only lies upon lies... You may cheat the world or the inmature, but we all know how evil you are. So before accusing or pointing others, please have a look at yourself as a mirror with the video I posted yestreday. In case you have not seen it, have a look here below as per how you madly bark constantly with lies and nonsense. Stupid mad dog.